As you know Not Dead Yet UK (NDYUK) campaigns against any change to the law on assisted suicide. We believe that allowing assisted suicide would put terminally ill and disabled people at significant risk. NDYUK is currently directly involved in challenging legal appeals being brought by Noel Conway and Omid T at the High Court. 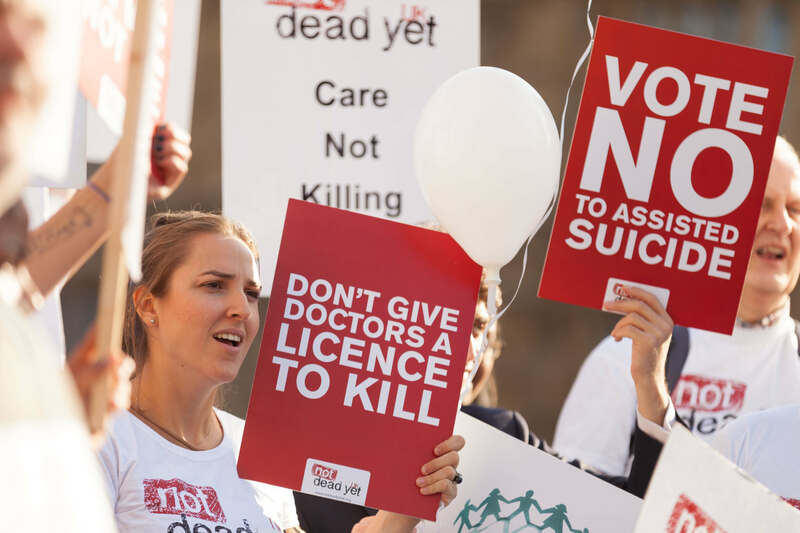 http://bit.ly/2I2X4gF Both appeals are being supported by Dignity in Dying and their objective is to change the law in order to legalise assisted suicide. Our legal team is led by Catherine Casserly, a barrister at Cloisters Chambers and solicitor Chris Fry from Fry Law. They are providing their time and expertise free of charge (“pro-bono”). Without their extraordinary generosity, NDYUK simply would not be heard in these appeals at the High Court. If you are able to make a donation to this vital cause that would be fantastic. You can also help ensure our campaign is successful by spreading the word. Please forward the link http://bit.ly/2I10sZ8 to your networks, contacts and friends.